Hi there! 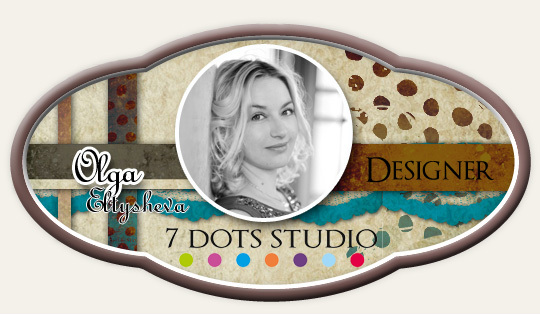 Its Olga and I used the new Fortune-teller collection to create this layout about my friend. For the background I chose a “Fortune” paper and covered it partially with white gesso in the places where there will be all the decorations. Then I applied texture paste through the stencil onto the dry gesso and added stamping with archival black ink. Finally I covered it with my favorite turquoise spray. After I finished coloring the paper I added decoration – cut circles, paper flowers, word stickers, epoxy dots, die-cut elements and sequins.